Guess who showed up finally? Well, the very first images of Honda Brio sedan came up recently on the official webpage of Honda Thailand. This one is expected to hit the global car market during April 2013. However, this date is quite tentative; but hopefully, Honda won’t keep its fans waiting for long. The new Brio sedan, codenamed Honda 2TP comes under the sub 4-meter category and will give an open challenge to some big daddies of the market comprising of Maruti Swift Dzire, Tata Indigo eCS, yet to be launched small VW sedan and Mahindra’s new Verito compact sedan. When you see the image of this new sensation from Honda, you would absolutely feel that Honda is going places with one. The car however has a bit of resemblance with its current sedan, Honda City, but the overall design factor does manage to steal the show. A little birdie told us that the company might fit in the diesel variant in Honda Brio sedan and bring to India. After all, the Indian car bazaar is riding high on diesel and compact sedans and hatchbacks. If Honda prices this sedan right, it might turn out to be a huge success in the country. Everyone knows that Honda City price is bit high and with Brio sedan planned to be introduced with a diesel engine, we can’t expect it to be below Rs. 10 lakh. According to the rumors in the market, the new diesel engine, which might be seen in the Brio sedan, would be derived from 1.6 litre diesel mill, which was present in Honda Civic Diesel in Europe launched earlier this year. Apparently a 1.5 litre diesel engine is being developed specially for the Indian car bazaar. Let’s see how this works out for Honda and how soon is Honda Brio sedan is launched here. Ayes...agree. 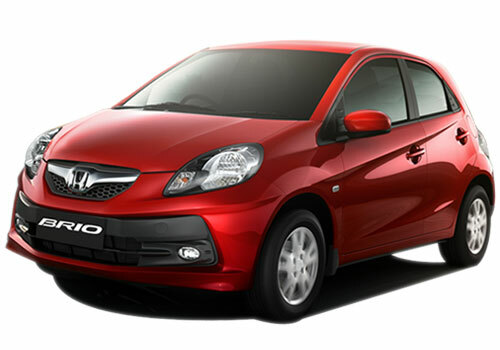 Honda has already made the great base for Brio range of cars with its hatchback Brio. Right, the Brio is included among top most popular fuel efficient, performance and powerful hatchbacks. The current Brio's goodwill ensure to help the Honda to promote its Brio based sedan if the company plays price game in the segment. Beside this, Honda should launch the Brio sedan with both petrol and diesel trims. The features of the car are amazing and the interior very beautifully designed. The stereo is nice and we love it even more. 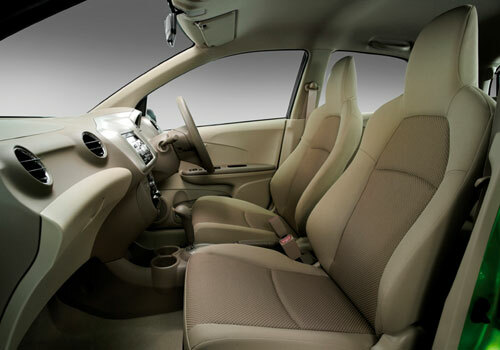 The new Honda Brio is offered best interior and exterior features.